Spring cleaning isn't the only time to spruce up around the house. Following the relaxing months of summer, the fall season is the perfect time to clean, reorganize and perform annual checks around your home. In preparation for the cold months ahead, there are a few important things to check off your list. With the colder weather that comes in the late months of fall, it is important to schedule a maintenance check for your heating systems. Making sure that everything is working efficiently and that heat is correctly ventilated outside is critical. Heating systems, fireplaces and all vents should be cleaned before they are turned on for the first time each year. It's also important to have your chimney and flue inspected each year. Before the real cold temperatures of winter begin to settle in, add weather stripping to your windows and doors to keep that chill out. Not only does this help to keep your house insulated, it will also result in lower energy bills. To prevent pipes from bursting when the temperatures drop, be sure that all water lines running along your exterior wall have been insulated. This is also an ideal time to prepare any leaks in the roof and ceilings of your home. 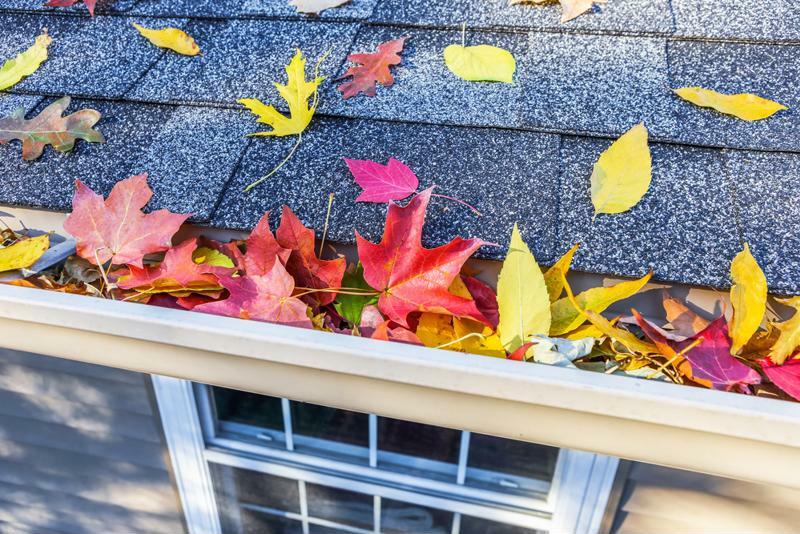 Cleaning the gutters is one of the most important fall chores to take care of. The fall is a perfect time to perform a regular check of all smoke alarms in your home. Ensure that each one has working batteries and is properly connected. If you do not have them already, installing carbon monoxide detectors in your house will alert you and your family members if there is a leak of this odorless and colorless gas. These batteries should also be checked each month. While this chore may not seem very taxing, cleaning the gutters may just be one of the most important jobs you perform this fall. Gutters are responsible for hundreds of gallons of water that leave your home's exterior and foundation, so it is crucial that they are cleared of leaves, branches and anything else that would prevent the water from flowing smoothly. Prepare now so that blocked gutters don't lead to damage later in the winter.